Tradewind Aquatic Herbicide provides selective management of Hydrilla and other aquatic plants. Target hydrilla, not desirable plants. Plus, Tradewind delivers long-lasting residual activity for both submersed and floating aquatic plants. 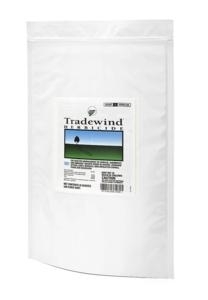 Tradewind Aquatic Herbicide, for clear, beautiful waters, count on the systemic chemistry of Tradewind® Herbicide. Tradewind selectively controls hydrilla (even fluoridone-resistant hydrilla), Eurasian watermilfoil and other aquatic plants — with minimal impact on many desirable plants such as spatterdock, maidencane and cattails. Plus, Tradewind is a great resistance management tool and delivers long-lasting residual activity for both submersed and floating aquatic plants. Use Tradewind Aquatic Herbicide for selective management of surface, submersed and emergent aquatic weeds in bayous, drainage ditches, lakes, marshes, non-irrigation canals, ponds and reservoirs. Provides selective management of Hydrilla and other aquatic plants. Target hydrilla, not desirable plants. Tradewind Aquatic Herbicide provides aquatic plant managers a new systemic chemistry to selectively control hydrilla (even fluoridone-resistant hydrilla), Eurasian watermilfoil and other aquatic plants—without killing many desirable plants such as spatterdock, maidencane and cattails. Tradewind is in a novel chemical class and provides a new tool for herbicide resistance management. Plus, Tradewind delivers long-lasting residual activity for both submersed and floating aquatic plants.